Refreshingly unpretentious, Risen reimagines the Gospel as an ancient Roman cop movie, in which a seen-it-all military tribune and his rookie second-in-command have to track down the missing body of a recently crucified Jewish preacher. Shot in stolid widescreen, with every scene staged against a limestone wall or rock formation, Risen skates by for a time as a no-frills, budget-conscious genre piece, tailing Clavius (Joseph Fiennes) and Lucius (Tom Felton) as they knock on doors, interrogate Jews in potato-sack robes, and badger the occasional hippie Apostle at the bidding of limp-wristed Pontius Pilate (Peter Firth). Unquestionably sincere, the movie eschews the glowing blond Jesus of kitsch in favor of a brown-skinned Yeshua who hugs lepers, and avoids giving Clavius a cowering, “big speech” conversion. (In other words, this isn’t a real-life version of the film-within-a-film from Hail, Caesar!, though it looks like it at times.) But just as the Roman starts to find himself in the thing that will eventually be called Christianity, the movie begins to hobble, shedding its eccentricities in favor of a less-than-inspired re-telling of the Gospel Of John. 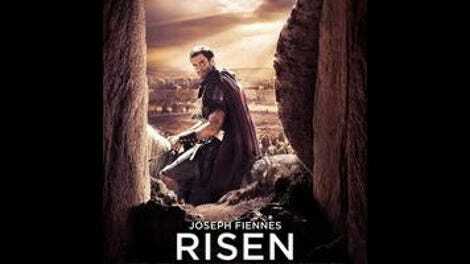 Produced under Sony’s “faith based” Affirm Films banner, Risen stands apart from its evangelical-targeted brethren by being an actual movie with some kind of values, instead of a grab-bag of wishes in which Jesus’ name is sprinkled like fairy dust. (In fact, no one says “Jesus” here, or mentions heaven.) Best known for the notoriously expensive Waterworld, director and co-writer Kevin Reynolds is an old hand at sword-and-cloak flicks (Robin Hood: Prince Of Thieves, The Count Of Monte Cristo); in a funny way, the story of the Resurrection fits all of his pet motifs, including sailboats (in a handsome Sea Of Galilee sequence), aristocratic bad guys (the movie’s decidedly non-conflicted version of Pilate), and plots that hinge on birthright, secret identity, and messianic destiny. Once the epitome of Hollywood bloat, Reynolds’ aesthetic seems measured and classic compared to today’s cut- and close-up-heavy norms. He frames mostly from the waist up, and uses every opportunity he can to add in beams of light passing through lattices—the defining obsession of a generation of filmmakers who entered the industry wanting to be Ridley Scott. 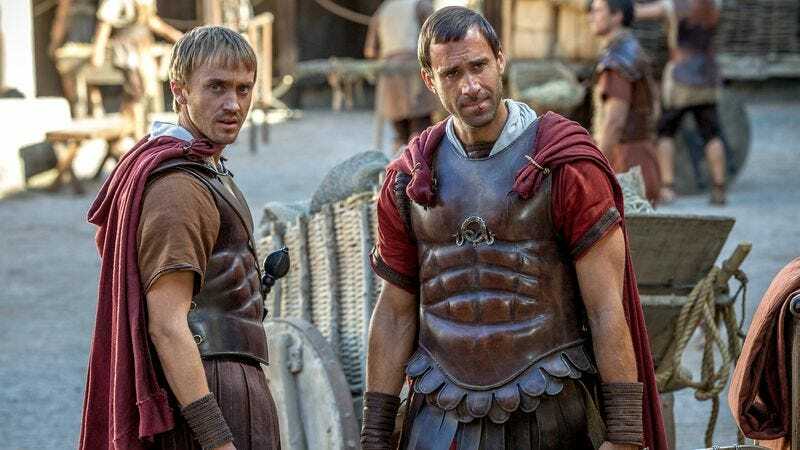 Risen has low-wattage charm as long as it’s working the supernatural mystery angle, helped by the fact that it has just enough of a sense of humor about itself; when Clavius needs someone to identify Mary Magdalene, he plucks a random soldier from the Roman barracks. But the very thing that defines the movie’s comparatively mature take on belief—the relationship between Clavius and the resurrected Yeshua (Cliff Curtis, who has spent much of his career playing every ethnicity except Māori)—robs the movie of driving force. Given the state of the evangelical sub-industry, Risen feels like a welcome alternative, in that it feels like it was made by people who pray for something other than miracle cures and box office returns. But faith will only get you so far. Though it’s bolstered by some likable supporting performances (including Curtis’ feel-good messiah and Stewart Scudamore’s tetchy Peter), the film ends up falling into a loop of abortive climaxes, set against an indistinguishable beige-gray backdrop of limestone, before the inevitable cheap-looking flash of CGI light in a scraggly field.